The Butterfly Place - Westford, Massachusetts: An indoor garden filled with hundreds of freely-flying butterflies! An indoor garden filled with hundreds of freely-flying butterflies! See New England butterflies and tropical species from all over the world. Walk along a winding pathway. 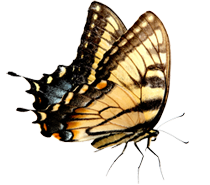 Observe butterflies sipping from flowers, basking in the sunshine and flying freely in a natural habitat. Enjoy our koi fish and quail birds which live among the butterflies. Visit the “show and tell bench” where a staff member is always available to answer your questions and help make your visit fun. See eggs, caterpillars or other interesting creatures up close. 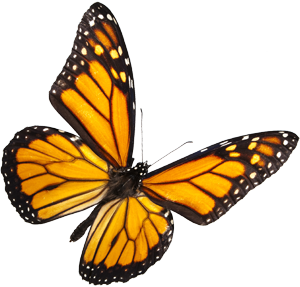 Watch a 15 minute, continuously running video which explains the butterfly life cycle and shares fun facts. 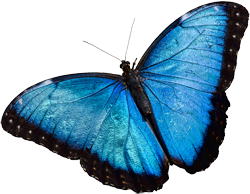 Explore exhibits where you may observe eggs, caterpillars, cocoons and chrysalides. Each display gives information about the species featured. Take home a Butterfly Hatching Kit so that you can hatch and release your own live butterfly or moth. We make it easy and fun! We also offer gift certificates and a wide range of unique butterfly-themed gifts, jewelry, books, inexpensive souvenirs, and educational materials. Many of our most popular items are also available online. Parking at The Butterfly Place is free and plentiful. All areas are handicapped accessible, and strollers are welcomed and encouraged. 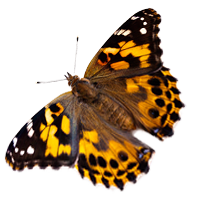 The butterfly flight area is kept at 80-85 degrees as butterflies need warmth to fly. Dress appropriately. There is air conditioning in all other areas. Most visitors spend about one hour to enjoy their visit. Your admission is valid for the entire day, so you may “come and go” as you please. There is no place to eat inside. The Butterfly Place does offer an outdoor picnic area, where there is a covered tent available from April through the end of the season (see schedule). In addition, there are nearby places to go for coffee, lunch or ice cream. Don’t forget your camera! Group visits for 15 or more people! Only $6 per person! Schools! Camps! Non-profits! Homeschoolers! Scouts! Seniors! Observe the entire life cycle up close and personal as you walk among the butterflies in our indoor garden. There is always a staff member available to answer questions! 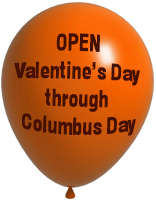 Call (978) 392-0955 or e-mail to make a reservation. Don’t have 15 people? Ask about discounts available if you don’t have 15.